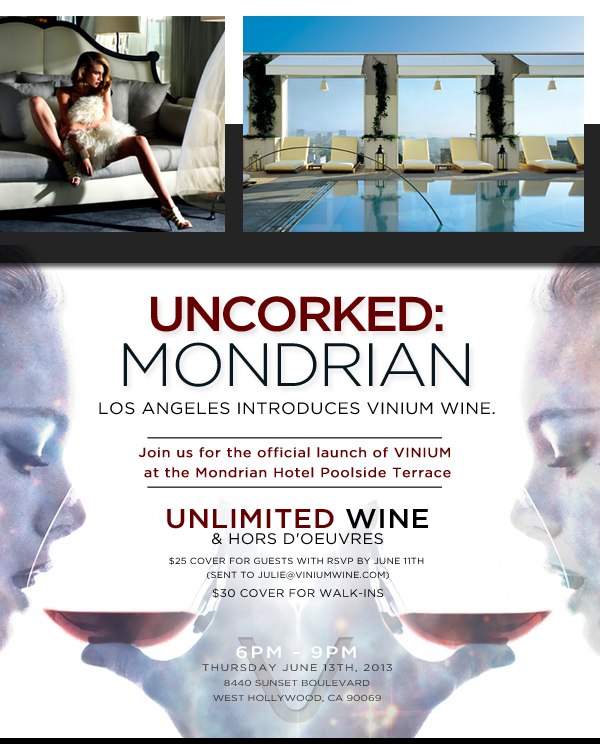 This Thursday, June 13th, from 6-9pm the Mondrian Hotel is introducing VINIUM Wine to the city of Los Angeles at its bi-monthly UNCORKED event held in their Skybar Living Room. VINIUM is an eco-chic winery designed to reduce their carbon footprint on the environment up to 90% by utilizing alternative packaging, and dispensing units instead of the traditional bottle and cork. Understanding this concept was the Food & Beverage Director at the Mondrian Hotel in West Hollywood, Christopher Roache, whom sought to move in the direction of sustainability for his wine by the glass program. According to the EPA (US Environmental Protection Agency), of the 3.7 billion bottles consumed in 2012 in the United States, it is estimated that 80% of those wine bottles will end up in US landfills. What many consumers don’t realize is that the bottle and cork isn’t necessary for wines that don’t require aging. 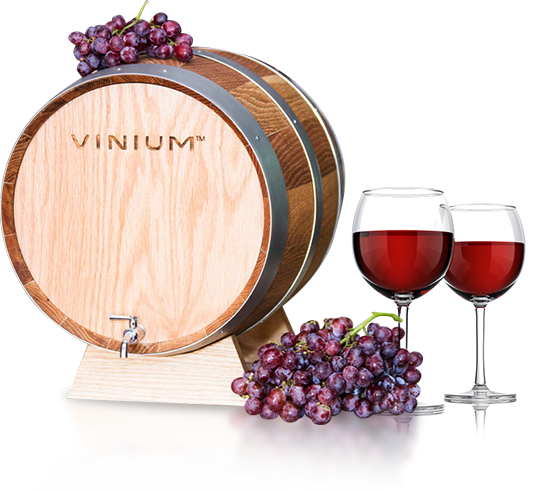 In an effort to prevent further waste VINIUM wines are packaged in a 9.0 Liter AirLock pouches (equivalent to twelve bottles or sixty glasses) and placed into oak barrel dispensers that maintain freshness for up to six to eight weeks. Answering demands for higher quality and value, while also addressing the very important needs of our planet. The inevitable transition from wine bottles to more sustainable wine packaging is as unstoppable as vinyl records through to tapes/CDs and now MP3s. VINIUM makes it fashionable to purchase wine in alternative packaging, changing wine buying behaviors for future generations. Now is your chance to join VINIUM and be amongst the first to taste the revolution exclusively at the Mondrian Hotel in West Hollywood, CA.